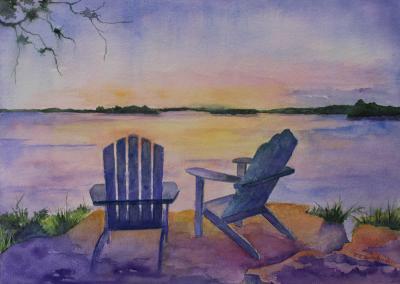 A colorful print of two Adirondack chairs against a glorious sunset. The print is matted to fit an 11" x 14" frame. All prints are carefully packaged. Price includes shipping, handling, materials and delivery confirmation. I accept PayPal, money orders and personal checks. Personal checks must clear the bank before I can ship your order.